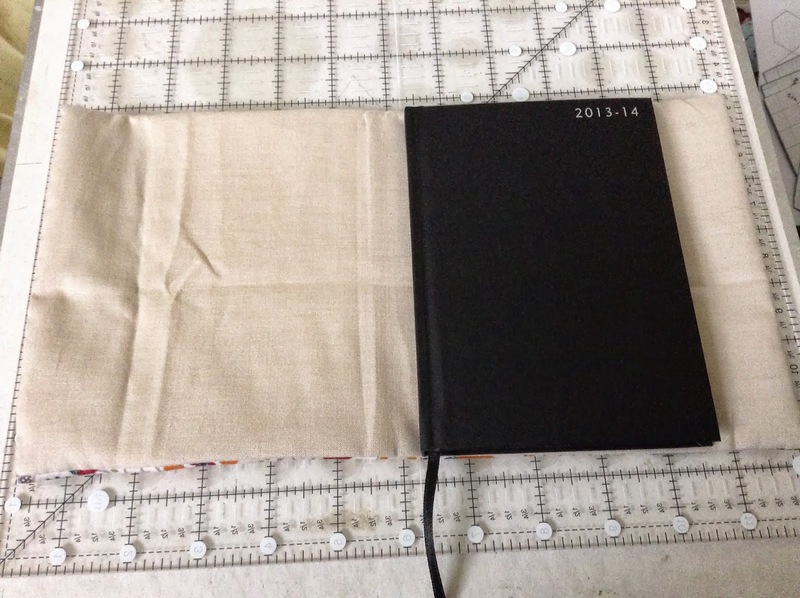 I decided I wanted to make a cover for my diary this year. I always get an academic diary???? I'm not really sure why any more?? I think it is out of habit!! It all started many moons ago when I used to work in schools. Our year always began in September and ended in July, with August being a free month. A month were you woke up when you wanted, eat when you were hungry and slept when you were tired. And you never worn your watch. A total free month to do as you pleased!!!!!! Before the new year started in September. So when I left working in schools, I still brought academic diaries and August is still my free month to do as I please. But New Years does not make me feel like one year is ending and other is beginning as this happens in September for me. Which is pretty cool, no New Years resolutions to make..... and break within a month. 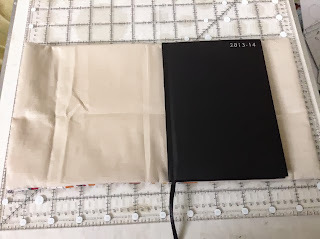 Now back to the diary cover. 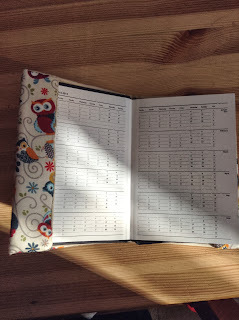 I have wanted a covered diary since the year dot but never found one that I liked or could be used for what I wanted. 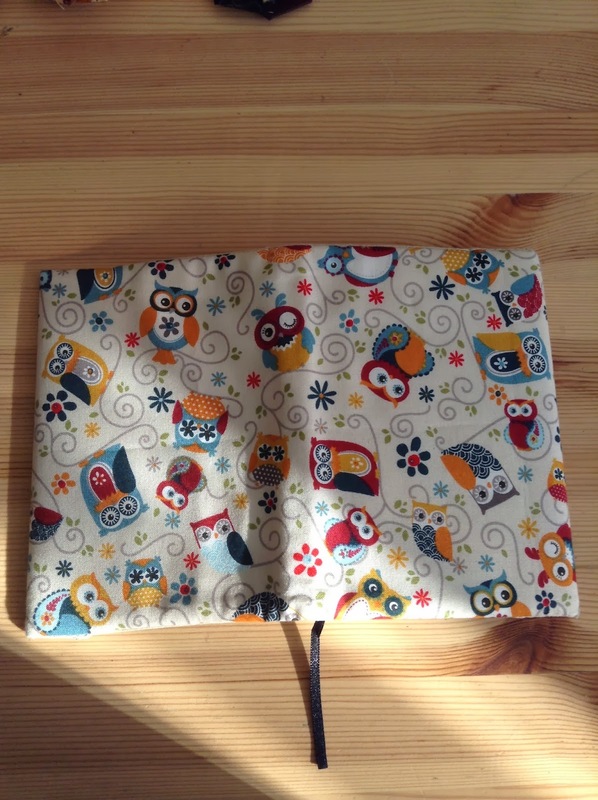 I want to be able to put my sewing needle in the inside if needed, a bit like a pin cushion. 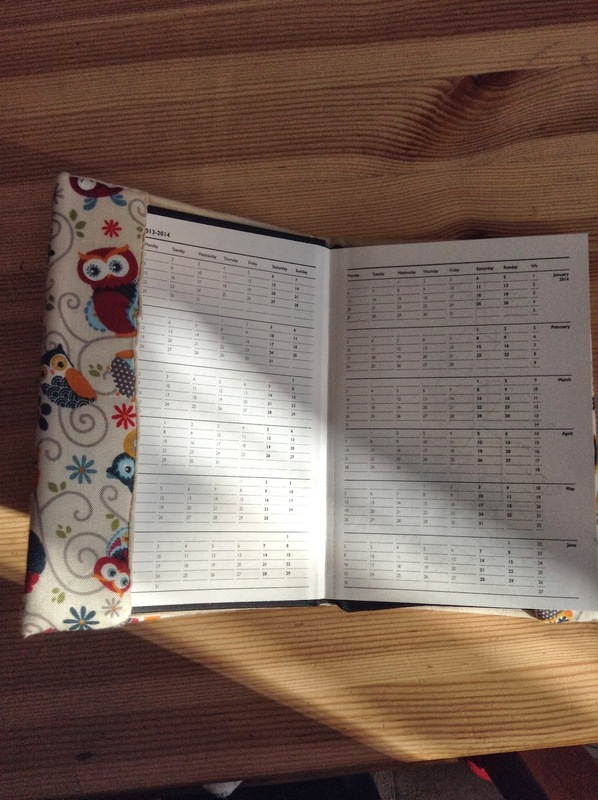 I measured my diary, front, spine and back and height, then I added 2 inches to the overall length on either size. This was for turning the ends over. 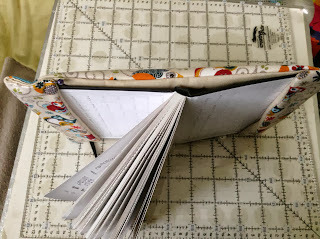 Then I added a 1inch seam allowance, it is so I could stitch just outside the line (Seam allowance side) So that when I turned it out it would fit the height of the book correctly. 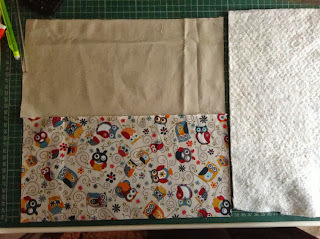 Once I had all my measurements I cut out the fabric. 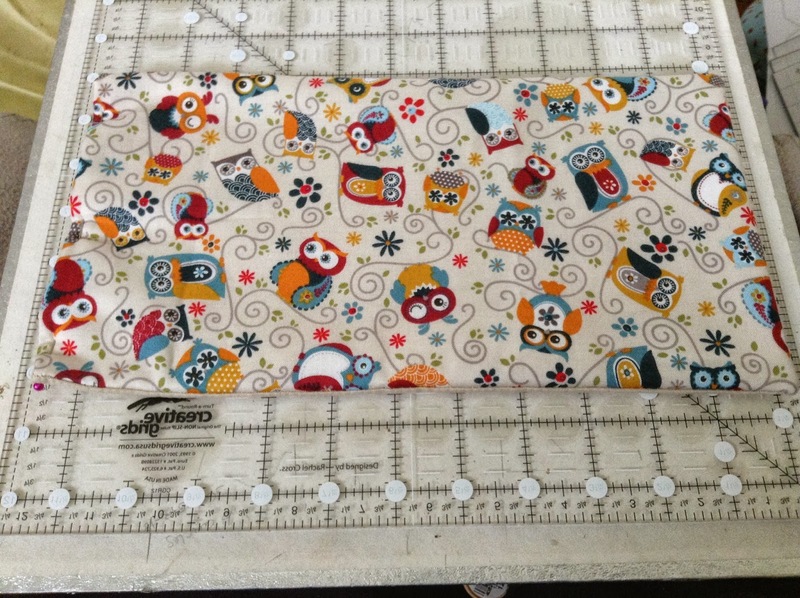 I used the owl fabric for the front then I had a plain fabric for lining and I cut piece of batting for the middle. This way I have a soft book cover that can double as a pin cushion for my sewing. 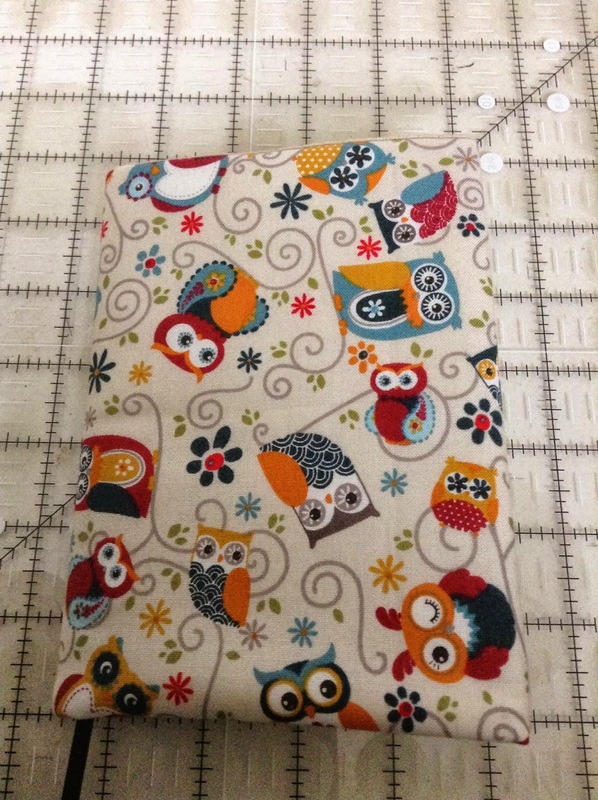 A little needle case, come diary two things in one!!!! 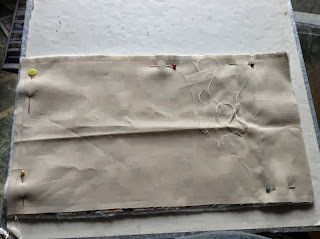 Then I sandwiched them all up, right sides facing each other with the batting on the bottom then I stitched just outside the line so when it is turned right side it would fit correctly. 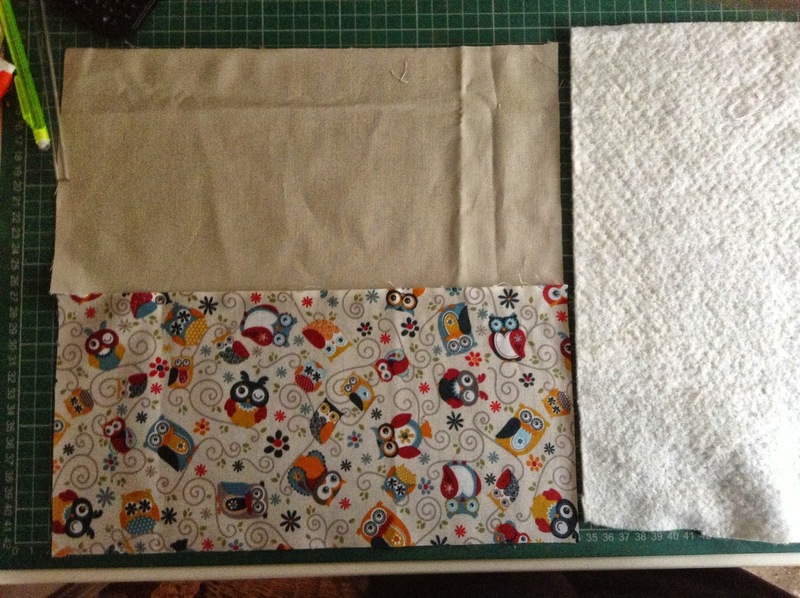 I left one side open for turning out the right way and poking the corners out. 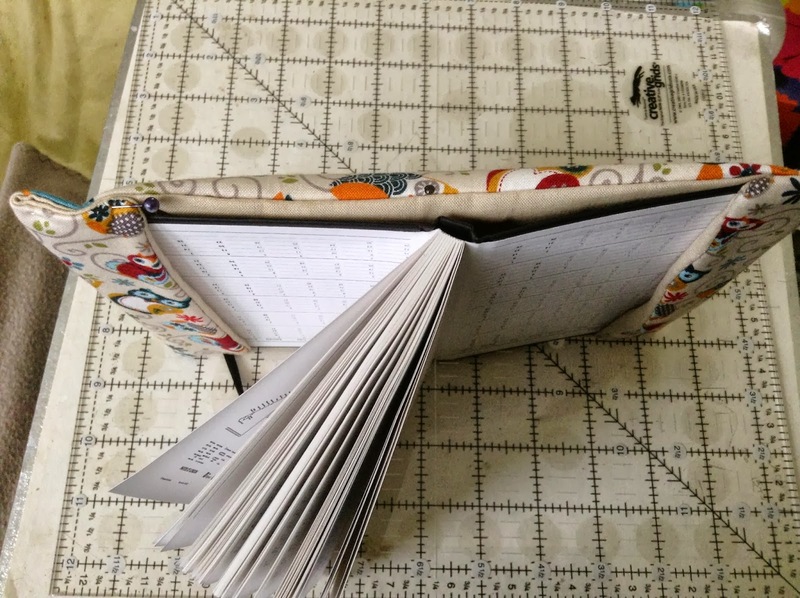 I then measured the diary against the rectangle of fabric just to make sure it all fitted and slip stitched the open end shut. 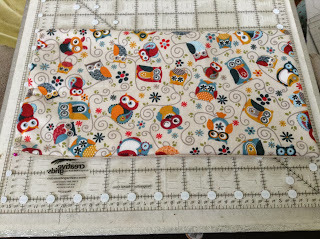 Then with the diary laying on the fabric (as above) I measured the sides to make sure the over flap ends were correct size. And folded them into the book. Once they were pinned into place I slip stitched them together. 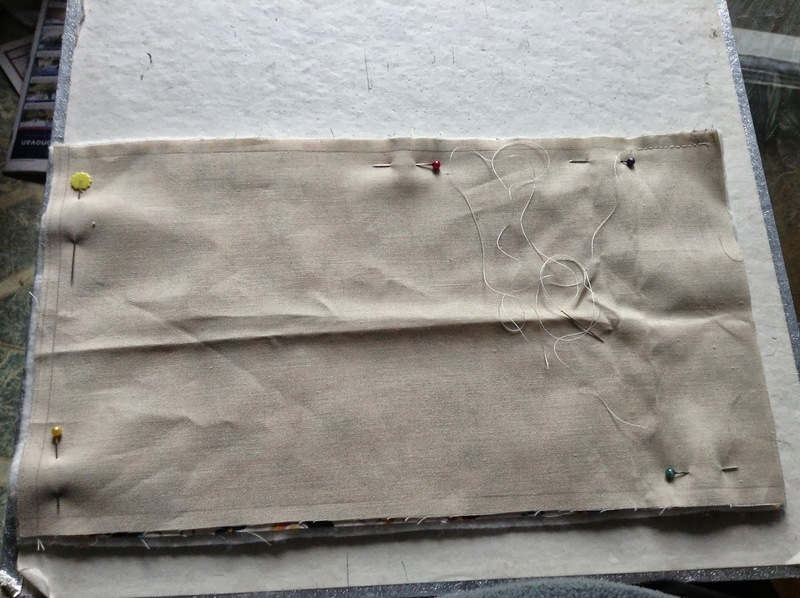 I will add a button so I could slip a ribbon loop over to keep it shut. These are so easy to make that you can cover any book with this method. 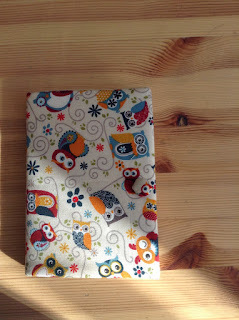 Great for Christmas presents you can find fabric just for that special person and cover them a diary or notebook.